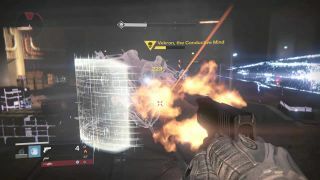 Vekron, the Conductive Mind is an Ultra Hydra that is the boss of the Warlock Stormcaller sublcass quest A Spark in Shadow. Vekron is one of the only bosses to be presented in a mission that can't be replayed on the same character. Others include Brandaks Prime.